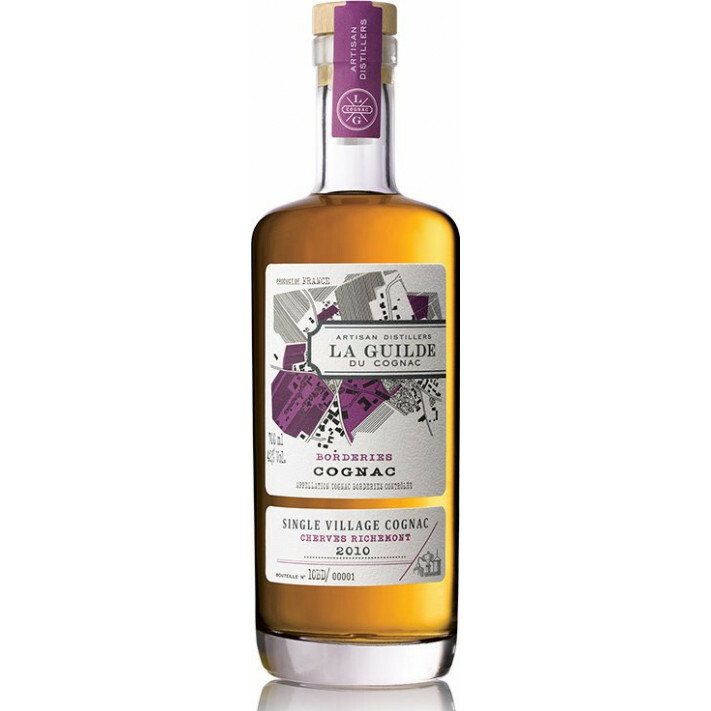 The La Guilde Cherves Richemont Borderies 2010 Cognac is a delicious journey into quite how good a Cognac from the Borderies terroir can be. The village of Cherves Richemont is located north of the town of Cognac. It's a wonderfully prime location in the heart of the Borderies growing region - one that makes up only 5% of the whole of the region. Eaux-de-vie from here is well known for its complexity and depth of flavors. This vintage year of 2010 was the culmination of a harvest that had a near-perfect climate. This led to a regular harvest, at the end of September, with juicy grapes at their pinnacle of maturity. The end product is a rich, complex, yet well-rounded Cognac that's a delight from the moment one sets eyes on it. A wonderful addition to the best of drinks collections. Beautifully balanced cognac - light, floral but complex - everything we appreciate in a quality cognac. I love borderie cognacs (my first one was a Camus) so I tried this one. Really love it because it's lower price compared to other brands.. love the concept by LaGilde. Will certainly try other bottles of the series.